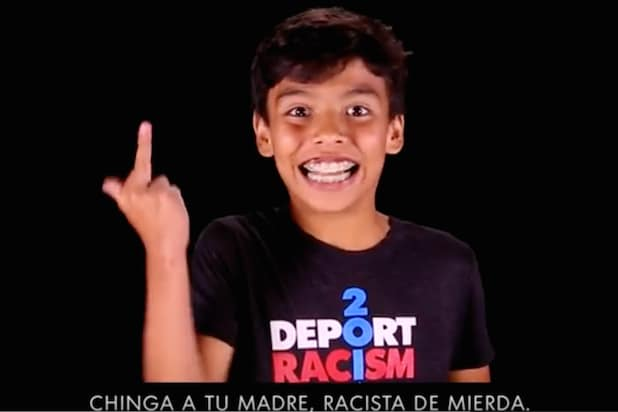 The director behind what conservatives are calling “a shocking new video,” that shows Latino kids shouting the f-word at Donald Trump, says he’s not sorry at all. In fact, he’s pleased with the reaction. The video from pro-immigration group Deport Racism has been viewed more than 240,000 times on YouTube since it was uploaded Tuesday. TheWrap: Seeing such young children use the F-word repeatedly was a bit jarring. Were you worried at all it might turn people off who actually support your cause? 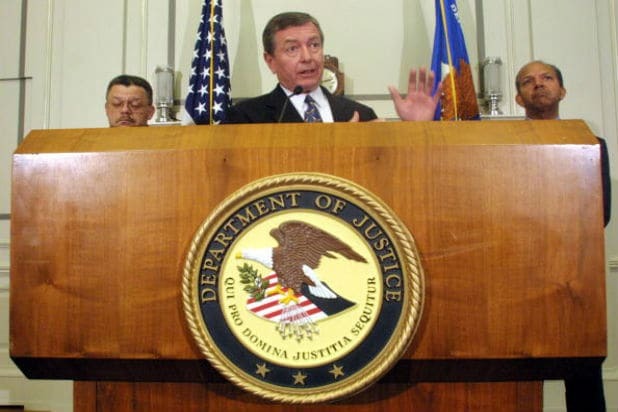 Montgomery: Not at all, people who support us don’t need to hear this message. They already are behind our cause and that’s great. Why kids? And why have them swear? Calling Mexican immigrants “rapists,” “murderers,” and “drug dealers?” Calling kids, American citizens, “Anchor Babies?” That’s diminishing their rights as Americans. You can only get away with that if you think they’re second class because they’re brown. I think they’re using a bad word for a good cause. Did their parents have any issue with it? Not at all. They understood why we were doing it. Republicans are having a field day with this video. Sean Hannity said “leftists have taken their vile rhetoric to a whole new level.” Did you just give them more ammunition? Sean Hannity is a racist idiot. Fox News stokes racists xenophobic opinions. The video seems to have touched a nerve. I noticed it got 1,317 thumbs up and about 11,558 thumbs down. Does that suggest people think you crossed a line? We’re fighting fire with fire. It’s a legitimate position. If I had a nickel for every bad comment I saw on [conservative site] Breitbart, I’d be a rich man. I saw everything from “You should be deported” to “Get out of our country” to some really vile things. These are American citizens! Let’s talk about that $5,000 reward you’re offering to anyone who heckles Trump during his “SNL” hosting gig this weekend. Has anyone taken you up on that offer? What happens if more than one person does it? Then the money gets split between them. Are you planning any more videos anytime soon? What’s the next video about? All I can tell you is that it involves a debate between Donald Trump and another character. Seems like most of your anger is aimed at Trump. Are you angry at NBC at all for giving him that platform and have they reached out to you at all? They have not and I heard from reporters that they declined to comment. NBC saw that the train wreck that is Trump (and I’m not talking about just his hair) gets a lot of eyeballs. He’s a ratings magnet and they just threw Latinos under the bus. If anyone called African-Americans rapists, murderers and drug dealers no one would stand for it. But because it’s Mexicans, it’s allowed. That’s just racist.